Primary Care of Long Island (Brentwood) - Book Appointment Online! We are an Internal Medicine Practice providing medical care for adult patients over the age of 14. Our doctors are board certified in Internal Medicine. 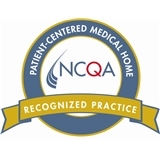 We strive to provide the best in medical care and therefore have been recognized by NCQA as a Patient Centered Medical Home (PCMH), which means we emphasize care coordination and communication to transform primary care into "what patients want it to be." Medical homes can lead to higher quality and lower costs, and can improve patient experiences of care. It was ok, staff was nice and the wait wasn't long.